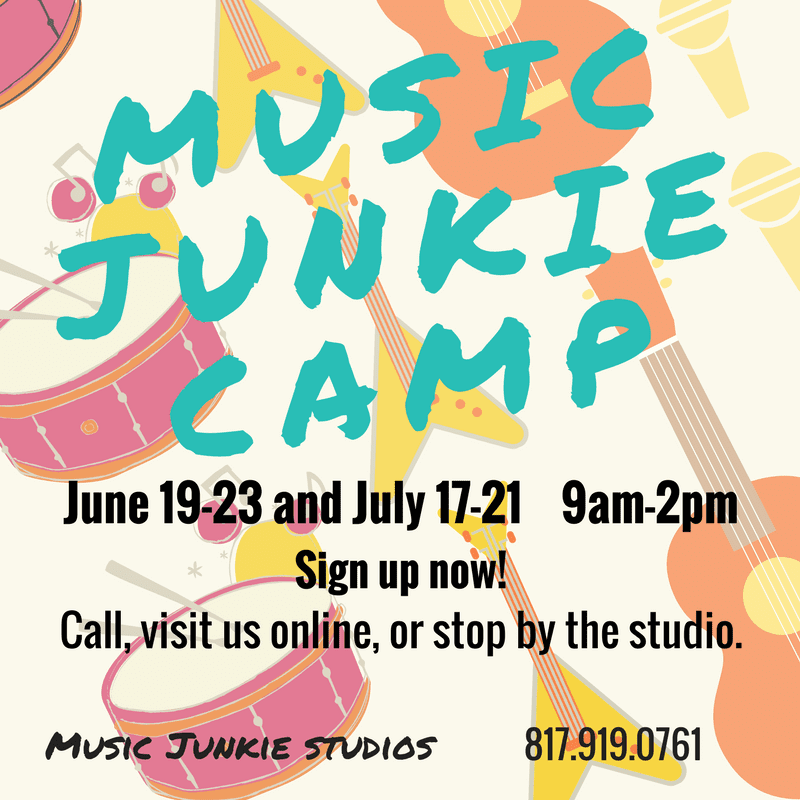 Music Junkie Camp is just around the corner! This year, we’re offering two week options: June 19-23 and July 17-21. Both camps are Monday through Friday from 9am to 2pm. 50% Due at sign up. Remainder due by the first day of camp. Deposit non refundable, but may be applied to the other camp week. Campers will be exposed to many different types of modern music, play and learn about different types of instruments, and participate in a performance at 1pm on Friday! Campers will need to bring a sack lunch each day. Water and light snacks will be provided.